I wanted to let you know that we have set the date for our preview show of the NWRC remodel. It well be at 7:30 pm on Thursday, September 17. We will have members of the architectural team, Arts in Public Places, and PARD here to speak about the project and answer some questions. 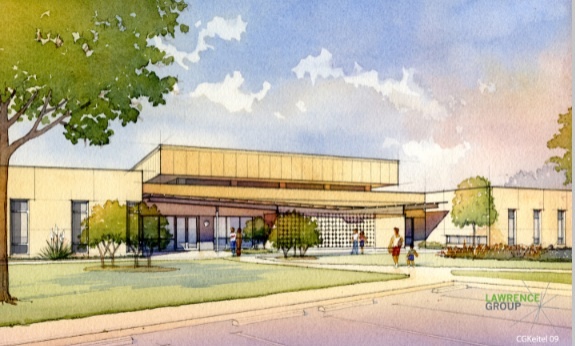 Here is a water color rendering of the planned redesign.